Sharing ideas efficiently and effectively in groups is a challenge groups and teams face on a daily basis. In typical face to face meetings, many factors can serve to inhibit a full sharing of ideas and thus the development of effective decisions and plans. To overcome the limitations of face to face meetings, computer based group decision support systems have been developed to facilitate both idea exchange and evaluation. Evidence suggests that such systems can lead to beneficial outcomes. However, unless they are utilized appropriately, even electronic meetings may not effectively tap the intellectual and creative potential of groups. 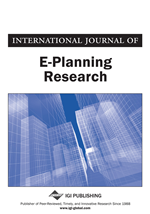 The authors will critically evaluate the theoretical and practical issues involved in the use of this technology and make recommendations for using electronic systems for e-planning. Good planning requires good information and good decision making. Most planning is probably done by groups during meetings or over a series of meetings. Although the diversity of perspectives available in group settings are potentially valuable for planning efforts, much research on group dynamics suggests that groups often have trouble living up to their potential (Nijstad, 2009; Paulus & Nijstad, 2003). Most relevant to our discussion are the facts that groups often focus on common information rather than the unique information available in group members (Stasser, Abele & Parsons, 2012), they may have reduced motivation to perform at a high level (social loafing, Karau & Williams, 1993), and they may be hesitant to express ideas that are different from the group norm or majority perspective (Nemeth & Nemeth-Brown, 2003). Concern with potential negative evaluation of novel ideas may further limit the number and novelty of the ideas shared (Camacho & Paulus, 1995). Furthermore, during face to face meetings only one person can talk at a time, limiting the opportunity for full sharing of perspectives (production blocking, Diehl & Stroebe, 1987). This is particularly evident in group brainstorming. When face-to-face groups share ideas, they typically generate fewer ideas than a similar number of individuals sharing ideas alone (nominals, Diehl & Stroebe, 1987; Paulus & Coskun, 2012). To overcome some of these problems in groups, alternative means have been suggested for conducting the idea exchange process. These have been examined in the literature on brainstorming in which the focus is on generating a large number of ideas in groups in order to increase the chances of good ideas (Paulus, Kohn, Arditti, 2011). The good ideas can then be selected for further review and elaboration. The main focus has been to use interaction modalities that reduce production blocking. One approach is called brainwriting and involves the sharing of ideas on slips of paper (Heslin, 2009). In one version of this approach, participants in groups of four wrote ideas on slips of paper and passed them on to the person next to them (Paulus & Yang, 2000). Participants were asked to read slips of paper as they were shared and pass them on until all had read them. Then the slips were placed in the center of the table. Each person wrote in a different color pen so their performance could be identified relative to that of the others. This was designed to reduce potential social loafing. Also, the fact that ideas were shared on pieces of paper probably reduced the degree of evaluation apprehension since ideas could be expressed without concern for evaluative feedback. It was found that the groups generated more ideas than the nominals. Furthermore, this difference persisted in a subsequent session where the group participants continued to generate ideas individually. Their performance in this session was even more elevated compared to the nominals than in the first session. So apparently the benefits of shared ideation carried over into the second session. This study thus clearly demonstrates that group idea sharing can be beneficial when the problems of production blocking, social loafing, and evaluation are reduced. Although brainwriting appears to be a useful method for sharing ideas in groups, only a small number of studies have examined this technique and the ways to optimize it (Heslin, 2009). Group brainwriting may not always be superior to individual brainwriting (Goldenberg, Larson & Wiley, 2013). It may depend on a number of procedural and motivational factors. The sharing process needs to be efficient. When a person reads a slip of paper and passes it on, it may stimulate a new idea but can also distract from the flow of thought. Furthermore, the time taken to read others’ ideas reduces the amount of time to generate one’s own. This may not be a problem if the session is fairly long or there are multiple sessions. A more optimal system may be one in which participants can tap ideas for the pile of shared ideas when they have a temporary “lull” in their idea flow. However, there has to be some system in which ideas already read are not mixed back into the pile, and by using different colors for different participants, participants can easily avoid picking up slips of ideas they have generated.